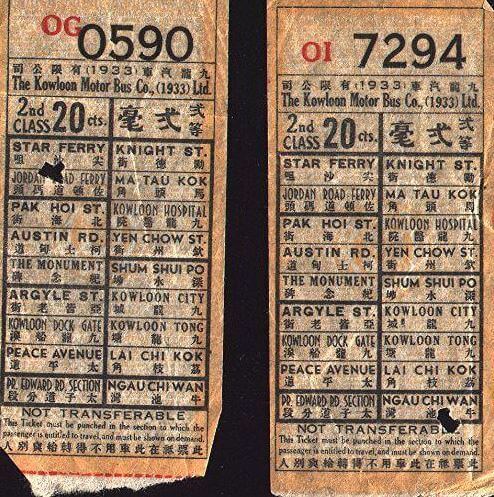 “Long before the age of cash boxes and the Octopus card, Hong Kong’s buses and trams had conductors who would collect fares. 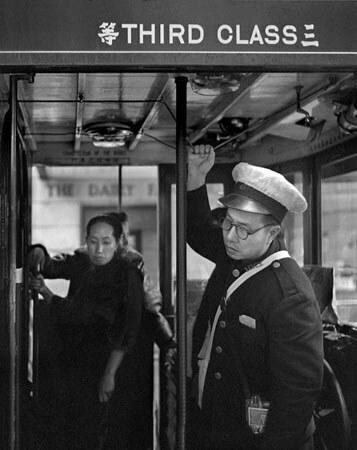 China Motor Bus (CMB) vehicles also had a gateman to supervise passengers boarding and leaving the bus. But by the mid-1970s, both CMB and Kowloon Motor Bus (KMB) were running one-man buses, with a cash box next to the driver’s cabin. The Octopus card was introduced as a payment method on some bus routes in 1997 and is now accepted on all routes. 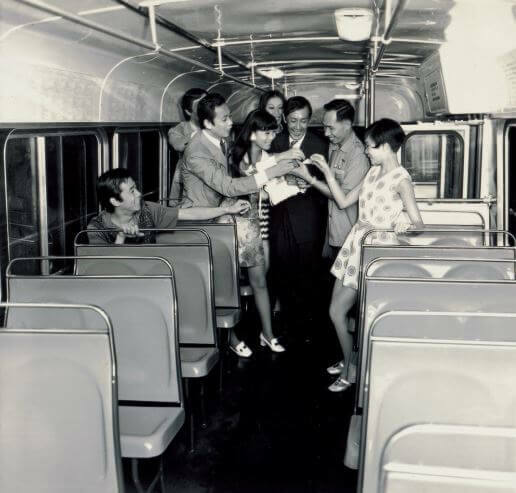 On trams, two conductors would be stationed on the upper and lower decks to collect fares until coin boxes were introduced in 1976. The position was eventually phased out entirely by the year 1982. “As the city continued to develop, the demand for bus services continued to grow. But the company faced another challenge in 1967, when riots broke out. Many drivers left their jobs as they were often targets for attacks by striking leftists. Some buses were damaged, and services had to be ceased on some routes. That gave an opportunity to operators of small, nine-seater vehicles which evolved into today’s minibus services. It was about that time that Leung Yat-fan, now 64, and Lo Lai-fong, now 75, joined the company. Lo was in the first batch of 22 female bus conductors recruited in 1967, when the company faced a staff shortage due to the strike. She was 29 years old at that time, married with children, and applied for the job because she thought it would be “fun”. She was paid HK$400 a month in the beginning, the same rate as the men, at a time when a bowl of wonton noodles cost 30 cents. “Only a few people would skip buying a ticket,” she said. “But in the morning, sometimes there were so many people that I had to block them from getting onto the bus by holding the gate closed with my feet.” She later took on other jobs for the company before retiring in 2003. This article was first posted on 15th May 2017.